Call To Visual Artists! Sell At “Kids For The Arts Gala” On Tuesday, September 25th In Boynton Beach. This Is A Win-Win-Win! The Rickie Report shares a Call To Artists for a Charity Event: “Kids for The Arts Gala” on Tuesday, September 25th. We are calling this a “Win-Win-Win” because the artists benefit, the charity benefits and the art patrons benefit. The event takes place at Benvenuto Restaurant & Banquet Facility in Boynton Beach, FL. Artists may show up to six (6) 6×6 pieces plus one (1) framed artwork. Every artist will receive one year membership on TalentJoe.com and a chance at the $50,000 Talent Of The Year Contest as well as monthly contests! Artist Deadline is September 10th! The Rickie Report shares the details in this article. 1730 N. Federal Highway Boynton Beach, FL. Venue will provide tables for display of 6×6 pieces and 1 easel for the larger piece of artwork. Artists may bring business cards and other promotional events. 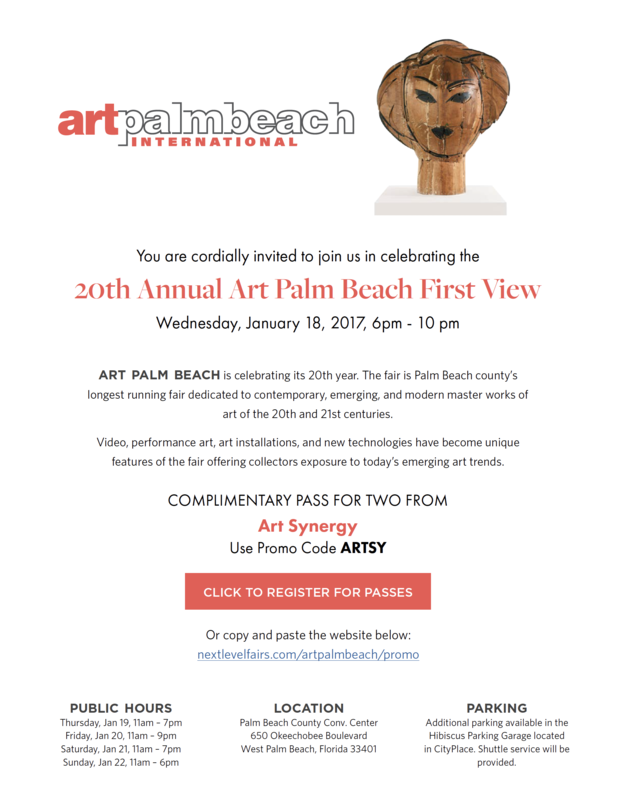 Artists will receive food and drink – a value of $50. Artist gets 60% of all sales. Artist sets price for larger piece and gets 60% of the sale. Artist will receive one year membership on TalentJoe.com for a chance at the $50,000 Talent of the Year contest as well as monthly contests! Walter W. Braithwaite, Founder|CEO Talent Joe Enterprises Inc. Imagine merging Reality TV, YouTube and Facebook with Talent. Talent Joe allows the “average Joe” the chance to make connections in a category, earn fans, build a presence, win monthly contests, answer casting calls, book auditions, and much more. Talent can get evaluated and be endorsed by top industry professionals and celebrities and compete for cash prizes, awards, and contracts. The categories include, Visual Arts, Acting, Singing, Dancing, Musicians, Modeling, Rapping, Comedy, Magic, and Photography. We have it set up for both Adults and Youth 17 and under. As an artist you can personalize your profile, win our amazing contests that could ultimately take you to the red carpet walk winning one of our prestigious “Joe Awards” Talent Joe is more than a website, It is a culture to help the young and unknown artists to get discovered, hired or casted. Born in Philadelphia, PA, Walter Braithwaite attended college at Penn State University majoring in business and marketing. He founded Automotive Promotions, Inc. in 1997. Braithwaite formed a powerful company that employed over 60 people and brought in over $50 million in sales. With his customers wanting more, he founded Benchmark Advertising & Design in 2002, a full-service advertising agency. Walt’s client’s and work included some of the top automotive dealerships in the country as well as Daimler Chrysler’s Mid-Atlantic region. Walt’s passion and love for the arts and travel is what drives him. His involvement in the arts started at a young age with his love for music, and competition Color Guard. Walt designed shows and became the director of many High School Level and WGI independent units which of several won national Championships. An entrepreneur at heart, Walt Braithwaite is the Founder and Chief Executive Officer of Talent Joe Enterprises, Inc. a trendsetting online community for the promotion of the performing and visual arts. Braithwaite’s exceptional creativity and vision has set up Talent Joe Enterprises to be one of the most exciting entities to hit the industry in a very long time. Talent Joe will define a new online culture of self-promotion, discovery and “Star Born” talent. TalentJoe.com was featured as one of the hottest new startups in Lisbon Portugal this past week at Web Summit. Talent Joe came to be when my advertising agency did a promotion for America’s Top Model reality show. The response to this show was huge and the line had wrapped around the building the entire day and well after the hours it was supposed to end. This was the seed that started Talent Joe. The passion of talent and people and kids who never get the opportunity to be discovered. One of my good friends who was a talented song writer and musician was another reason to create the platform. I saw Mike Narvaez, a struggling musician who should have made it big but never could get to that next level. Having a strong background in marketing and advertising I studied people’s success and failure of getting discovered and making it to the next level. Probably one of my biggest reasons to move forward with my idea was a disturbing reality that I discovered while researching my project. People were being preyed on and mostly they were young kids. People were paying huge money to so called talent scouts who promised them the sun, moon and stars. They took their money and didn’t deliver. This was so widespread that I knew that I had to do something about it, and I did. The platform took me 3 years to develop from idea to reality. It took three months to think of the perfect name. Every night I would sit for hours to come up with the perfect company name. One evening I said to myself what is the site about? I thought to myself to help the “Average Joe” to get discovered. So I went searching and there it was Talent and Joe combination of words and the domain was available! TalentJoe.com was born! I hired one of the best development companies in the business and brought in the greatest people around me to form the new company. Everyone who saw the mock ups were as excited as I was and they all wanted to be a part of it. Christian Monzon, Sia, and Marcus Paulk. Categories include singers, dancers, models, comedians, musicians, actors, photographers, rappers, magicians, and visual artists. There are separate areas for youth talent, in the same categories, as well. Industry professionals and celebrities also have an opportunity to promote their business or market their brand. Never before has there been a place solely dedicated to the promotion of the arts. Walter explains,” Although it is free to join, you will want to subscribe to take advantage of all the features of the site. Our Standard membership which is only $9.95 per month allows you to communicate with Industry professionals, Casting Directors, Art galleries and even allows you to be voted on for our contests. There is also a featured membership to put you higher in search rankings and to get your profile more noticed. If you’re an industry professional, business or even an art gallery you can discover and even hire the best new emerging talent out there. Fans are free and with our featured video player and soon-to-be app, you can create your own playlists of emerging musicians, singers dancers and more. Our fan experience is second to none and our fans get to vote for talents on the site helping them get to the red carpet. You are invited to sign up for Talent Joe and get 3 months free. Feel free to share this information with artists of all media, visual arts, performing arts, beginners, professionals and teachers. This is an opportunity to meet your goals! Talent Joe is a safe place for Kids. We are COPPA compliant and will never sell or share members’ private information to anyone. We Take this very seriously and have hired a company called Kid Safe to audit and make sure we are doing everything possible to keep kids safe on TalentJoe.com We were put on this earth to achieve our greatest self, to live out our purpose, to chase our dreams and to make our thoughts and efforts a reality; Create a life you are obsessed with,” shares Walt Braithwaite.